Wishmaker Casino will then reward you with a bonus (Welcome Bonus is for new players only). The terms and conditions of the bonuses vary between different casinos and might also change over time and between different countries, so it is important to compare the different offers and read the T&C for Wishmaker Casino before signing up. Drawing on players’ primary gambling motives, Wishmaker casino is in the business of making dreams come through, using 1,200 games as a means of fulfilling their members’ fantasy. 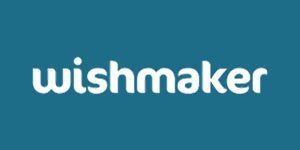 The Wishmaker casino is registered in Sweden and operates under UK Gambling Commission and Malta Gaming Authority, providing gaming services to the residents of Canada and Europe – Germany, Norway, Sweden, Great Britain, Finland… Run by iGaming field veterans who share the vision of creating a fun and trustworthy gambling environment, Wishmaker seems fully equipped to meet their players’ needs. The team behind Wishmaker has built a sophisticated platform that hosts the gaming portfolios of the most acclaimed software providers in the industry. On top of that, the casino greets their registered players with the loyalty-based reward system and keeps them on their toes with engaging Wish Races, rich promotional program, Wishing Well prizes, Wish Coins that can be used in Wish Shop, etc. The gaming opus at Wishmaker casino is quite exceptional. Powered by Betsoft, Play ‘n GO, NetEnt, Evolution, NYX, Thunderkick, IGT, Microgaming, Green Tube, Yggdrasil, Scientific Gaming and other renowned software developers, the casino’s overall selection of games is constantly being renewed to include the latest releases from their partnering suppliers. The players will be able to use the casino’s advanced filtering system to search the games according to the provider, which will save them a tone of time and make the navigation extremely easy. All of the games (with the exception of Live Tables) can be launched in both demo play and real cash mode, via desktop and mobile devices. Should you decide to play the game in free play, the option to switch to real money wagering will be clearly visible on the screen, Only the registered members with a positive balance will be able to play for cash and redeem the welcome bonus or any other of the ongoing casino promotions. In case you would like to try something fresh, recently released slots will have a category of their own, and the new editions will be made available on Wishmaker’s virtual premises immediately upon release. This will provide the players with the unique opportunity of testing the latest games launched by Wishmaker’s featured developers. In addition to the regularly updated offer, classic video slots and games that have acquired an iconic status over the years have also found their place in this casino. Progressive slots with an impressive payout track record such as Mega Moolah are an indispensable part of any online casino that means business, and Wishmaker is definitely no exception. Table games aficionados will be quite pleased with the number of Roulette, Poker, Blackjack, and Baccarat variants in the Casino Games category. The players will be able to select a virtual casino table according to the version, type, and structure (French, European, Hi-Lo, Side Bets…), and play for free until their skills are advanced enough to start submitting real money wagers. Apart from providing a traditional choice of casino games, Wishmaker also caters to those who like to mix it up a bit. Scratchcards, Keno, Bingo, arcade games and hybrid releases that combine different casino games into a single gaming platform are incorporated in Wishmaker gaming assortment as a more unconventional part of the casino’s offer. Looking at the list of casino’s partnering software developers, veteran players with an extensive online experience will already know what to expect in this category. Microgaming, Evolution, and NetEnt are known for their state-of-the-art studios, sophisticate Live Dealer software, and a vast number of native, high & low limit, and VIP tables. Different variants of Roulette, Blackjack, Baccarat, and Poker streamed from land-based casinos and studios located all over the world is what one will find in Wishmaker’s Live Casino lobby. Wishmaker accepts a number of different payment methods, which the members can select according to their location and their own personal needs. Skrill, Neteller, payment cards and Bank Wire are only some of the approved payment channels that can be selected by the users, depending on how discreet they would like to remain, or how fast they need the transaction to be processed. In case you need to talk to a casino representative, the Wishmaker support team can be contacted directly from the website. A lot of information can be found under the casino’s Terms & Conditions tab, however, if you don’t feel like scrolling down in search for a specific info, the client service agents will be happy to answer your every question.